Following on "(Over)Focusing on community benefits agreements does not substitute for economic revitalization planning: Atlanta; Chicago." 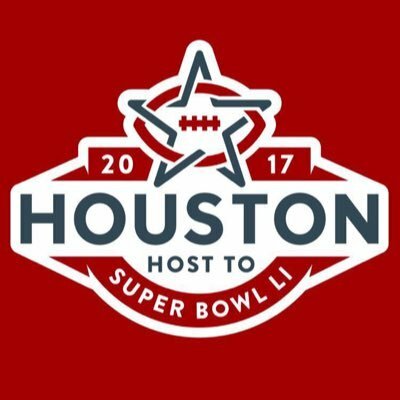 Houston/The NFL Super Bowl. Most years I write about how the way that sports events like the NFL Super Bowl are touted for their contribution to the local economy use what we might now call "alternative facts." The primary categories for spending are travel; lodging; and food. A wee bit of shopping/retail. The monies spent on travel mostly go to airlines not locally based. The monies spent at hotels for lodging--not personnel--mostly go to companies that are not locally based. The money spent on local transportation (transit, taxis, etc.) and food at restaurants tends to remain local, although out-of-the-area companies can still benefit disproportionately from some of this spending too. Attendees mostly aren't interested in visiting local sites and commercial districts, so most efforts aimed at stoking spending on non-football related retail and entertainment tend to fail. I mention this because the New York Times had an article yesterday, "The Super Bowl Returns to a Transformed Houston," about how the Super Bowl will help Houston economically in the face of its current economic downturn resulting from the decline in oil prices. 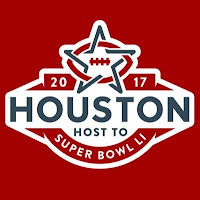 This year’s contest, between the New England Patriots and the Atlanta Falcons, will be played at NRG Stadium, less than eight miles from downtown, and is expected to generate a net economic windfall for Houston of more than $350 million. Mr. Turner said the tax revenue could be a “huge stimulant” for the city’s economy. But Laura Perez-Boston, the campaign director of the Texas Organizing Project, an advocate for low-income African-Americans and Hispanics, expressed concern that the economic gains would primarily benefit wealthy developers and largely bypass those at the lower end of the economic spectrum. Clark County Commissioner Chris Giunchigliani has a long list of things she would spend $750 million in public money on, if it was up to her. A light rail system, so Las Vegas can compete with cities with better public transportation. Firefighters, because her county has not hired a new one in years. And teachers, as public schools in Nevada perennially rank among the worst in the nation. 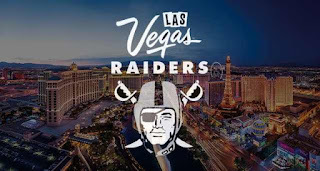 Nowhere on Giunchigliani’s $750 million public wish list would you find “help a wealthy NFL team owner and a mega-rich casino magnate build a $1.9 billion football stadium.” But that is exactly what Nevada’s largest county is poised to do, as the likelihood of the Raiders leaving Oakland for Las Vegas inched closer to reality this month. As the article points out, the funds will come from hotel taxes, so they aren't taxes paid for by local residents. Still, if a government is willing to spend that kind of money on a football stadium, but not public transportation, public safety facilities, schools, etc., there is something wrong. Demand a economic revitalization plan and linkages. Come up with a revitalization plan template of your own to shape the debate. Communities wanting more as a result of subsidizing sports need to come up with a linkage/community benefits/economic revitalization plan, basically asking for the equivalent of "reparations" for all the public monies spent on sports facilities and teams. Job training/hiring commitments/purchasing + neighborhood revitalization. The job training and hiring commitments that the Atlanta Falcons are doing is a start, but not enough, as discussed in the previous entry, "Over)Focusing on community benefits agreements does not substitute for economic revitalization planning: Atlanta; Chicago," neighborhood residential and commercial district improvement programming is required if there is a desire for more than trickle down economic impact. Events tax/ongoing funding for local improvements. A few years ago, advocates in the Hill District of Pittsburgh proposed a sports events tax on parking to fund community improvements. See "Hill District seeks more arena-area parking money for development" and "SEA urged to use a portion of parking revenue to support Hill," Pittsburgh Post-Gazette. Many Landover residents who live near FedEx Field worried that nothing good would ever come of being the Washington Redskins' neighbors. ... To help sell the idea of a new stadium, the Prince George's County Council passed a resolution in 1995 that called for a "10-year strategy" to mitigate the project's impact on the quality of life in surrounding communities. It included a plan to share revenue generated by the football park. Ten years later, there is no strategy and no revenue sharing. "The county hasn't done anything -- no more than a lot of promising," said Freddie Dawkins, the former head of the Coalition of Central Prince George's County Community Organizations. "We've been pushing for something ever since." Now, some Prince George's County lawmakers want to set up a special fund to help such towns as Landover and Cheverly coexist more comfortably with the 91,665-seat stadium. The money would come from the 10 percent admissions and amusement tax on Redskins and concert tickets, which currently goes into the county's general fund. A bill under consideration by the County Council would divert the money to a separate fund. Integrating economic development/entrepreneurship development. Typically, stadium projects aren't designed to spark adjacent development unless the development is controlled by the team. And mostly, food service and related concessions go to big companies. In this piece ("Sport team practice facilities and public subsidy (a practice facility for the Washington Wizards)") on the Washington Wizards practice facility, I outlined a way that the retail and food service operations could be set up there to promote and support local business. Integrating recreational and other facilities. I have always been intrigued by how the sports arena for the professional basketball team in Bilbao includes a community recreation center with a pool, and at times, the basketball court is open as part of the set of community facilities there. Separate from FedEx Field, the Prince George's Sports and Learning Complex costing $37 million was constructed adjacent to the stadium and paid for by the State of Maryland, the County, and the Redskins football team. And various baseball teams, including the Washington Nationals, support Youth Baseball Academies, which do have some impact but not long term structural improvements in place elements. Richmond, Charlotte, and Indianapolis as counter-examples. Indianapolis is touted as an example of focusing on sports as economic development, both in terms of events, as well as hosting sports organizations, such as the NCAA ("Indianapolis' rise to a sports identity," Butler University). At one time, it was critical for a region to prove that it was really “big-time” by attracting a major league sports franchise. However, what is happening today is something very diff erent: “hot” regions are less likely to brand themselves by what spectator sports are available and instead market the outdoor and healthy lifestyle activities—bike trails, swimming facilities, hiking clubs, innovative youth programs—that the region supports and promotes. Our studies at Richmond’s Future indicated that RVA has the assets to develop such a reputation, although there remains substantial work to be done in this regard. What distinguishes Richmond and Indianapolis from Charlotte is a broader focus on multiple activities and elements. Charlotte made a big bet on a museum related to racing sports, and it hasn't panned out very well ("Nascar Hall of Fame Leaves Charlotte Home With Bank Debt," Bloomberg Businessweek). If you're going to focus on sports, a broader approach is better, one that more directly links economic revitalization objectives. The new sports complexes: Los Angeles; St. Louis; Detroit; Buffalo; Sacramento; and Inglewood. More recently teams are developing ancillary entertainent complexes anchored by sports facilities, but designed to extend profit capture opportunities beyond the event and every day and night of the year. Staples Center is the foremost example ("The Staples Center Score: Five Years After Arena Opens, Downtown Is Reaping the Rewards," LA Downtown News), but complexes associated with the St. Louis Cardinals baseball team, the Buffalo and Detroit hockey teams, and the new NFL stadium in Los Angeles have opened more recently or are under construction ("Pistons move back to Detroit yet another psychological boost for city," Detroit Free Press). I wrote about the Sacramento Kings initiative here ("An arena subsidy project I'd probably favor: Sacramento"). 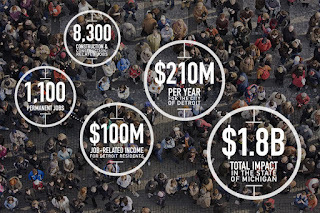 Infographic produced by the District Detroit program outlining the economic benefits of their program. Like with the District Detroit program or the way that Verizon Center in DC helped to reposition DC within the metropolitan landscape shaping business and residential location decision making and city branding, identity, and attractiveness, even though economists are right that at the metropolitan scale, sports don't add to economic development, depending on the nature of the project and the ancillary development that results, individual jurisdictions can benefit at the micro scale. The point is if a locality is going to subsidize a team anyway, it's best to maximize the benefits. I laid out this framework in terms of identifying characteristics that shape "success or failure" as it relates to success projects. The table needs to be expanded with items addressing community benefits agreements, linkages, and neighborhood economic revitalization planning. how people travel to events: automobiles vs. transit. 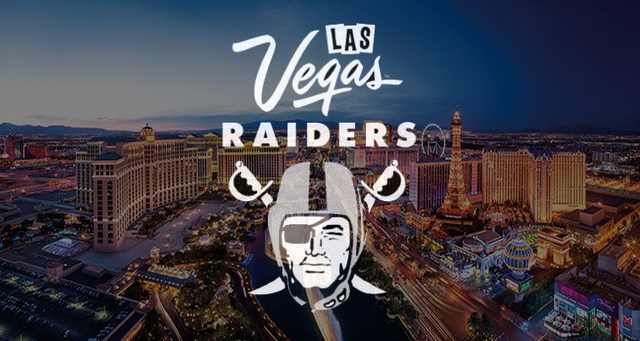 The major downside from these bigger projects comes with determining how much economic opportunity is allowed to be made available to entities outside of the sports team ownership group. My sense is that projects benefit the team disproportionately compared to other partners. Again, the issue is how to shape the projects so that the benefits are more widespread. You've also got the example of the kettler center in Arlington (ice hockey) which has turned into a pretty good public facility as well. Tremendous amount of athletic talent in DC proper, all being taken by suburban schools. (Kevin Durant, etc). RE: using hotel taxes. As in everything there is unexpected blowback. No question AIRBNB is being driven by overly high taxes (which also delay the construction of new hotels, i.e SF). good point about the taxes. But I really think a lot of what drives that type of use is the high price of hotels, irrespective of taxes, and the desire for a non-chain experience. Unions fight support of this type of use, but I think a lot of those visitors wouldn't be coming to the city otherwise if they didn't have this option. In any case, it's not like hotels will go out of business, just from an inventory standpoint (e.g., the valuations of Airbnb are insane and disconnected from how much use is possible with it/like it, compared to the total rooms let by hotels/motels). So the jobs issue is kind of a chimera. As you can imagine, I am fine with airbnb type use. I do think it's reasonable to put restrictions on it. E.g., a room in your house vs. putting multiple properties up, which means taking them off the traditional housing market (restricting supply, etc.). It's reasonable for apt. buildings to use it for unlet units, or even for a couple units to be permanently reserved for such use. Taking "housing off the market" to shift it to this, somehow I think there need to be limits. BUT in return the usage should be taxed. We've stayed in HomeAway properties, and I remember in both SF and Seattle we paid the local tourist taxes. 1. Kettler is a good example of something that works well. I should add it. It's a special type of use, a practice facility specifically designed to also be used by related organizations, in a sport with limited options for facilitlies. Technically, it's a single use facility, but we could call it multiple tenant, so it gets used a lot. WRT a practice facility for basketball, most places are set as far as gyms go. 2. Unrelated. Thinking about the LT belief that what is now the Verizon Center will eventually be replaced by an arena at RFK, it won't have nearly as good transit connections nor will it have much in the way of realizable ancillary economic development benefits. It'd be like Cap Centre in Landover, except still in the city. SO it's not really advantageous for the city to encourage the arena to move out of downtown. There it becomes a marquee attractor for the city more generally. At RFK it's on the edge, not particularly visible or exciting. 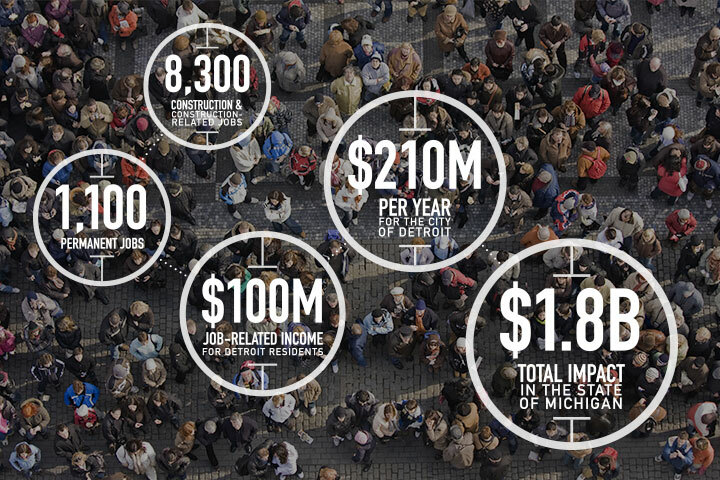 There isn't a plan to build the equivalent of a "District Detroit" around it. I haven't written about this yet (the RFK planning initiative) but I intend to get around to it. So that point about isolation or connected location might need to be expanded a bit. 3. relatedly, some of the GGW comments on the DC United Buzzards Point plan have been good about laying out why SW Waterfront Station could be a better option. DC ought to be stepping in here and thinking more broadly about these issues, and making choices, in order to best leverage "the investment." My thing about these posts is that even if I don't think this type of project is the best use of public funds and actions, they are going to go forward regardless. Therefore work to get absolutely the most positive benefit possible from the project.